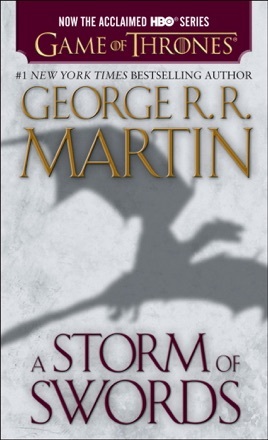 The third volume of the high fantasy saga that began with A Game of Thrones and continued in A Clash of Kings is one of the more rewarding examples of gigantism in contemporary fantasy. As Martin's richly imagined world slides closer to its 10-year winter, both the weather and the warfare worsen. In the north, King Joffrey of House Lannister sits uneasily on the Iron Throne. With the aid of a peasant wench, Jaime Lannister, the Kingslayer, escapes from jail in Riverrun. Jaime goes to the other youthful ruler, Robb Stark, to secure the release of Joffrey's prisoners, Robb's sisters Arya and Sansa Stark. Meanwhile, in the south, Queen Daenarys tries to assert her claim to the various thrones with an army of eunuchs, but discovers that she must choose between conquering more and ruling well what she has already taken. 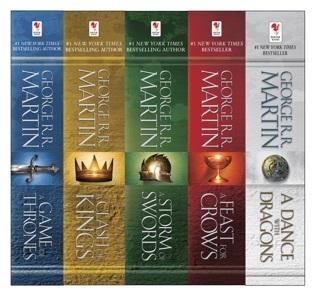 The complexity of characters such as Daenarys, Arya and the Kingslayer will keep readers turning even the vast number of pages contained in this volume, for the author, like Tolkien or Jordan, makes us care about their fates. 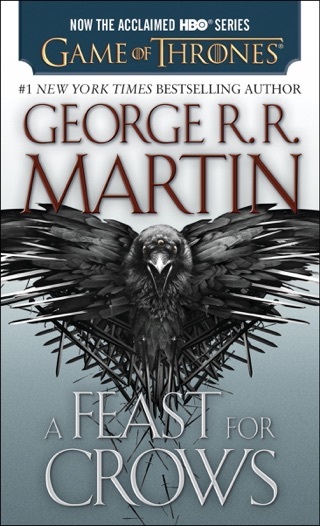 Those two fantasy greats are also evoked by Martin's ability to convey such sensual experiences as the heat of wildfire, the chill of ice, the smell of the sea and the sheer gargantuan indigestibility of the medieval banquet at its most excessive. Perhaps this saga doesn't go as far beyond the previous bounds of high fantasy as some claim, but for most readers it certainly goes far enough to command their attention. The author paints a lively world which feels alive. 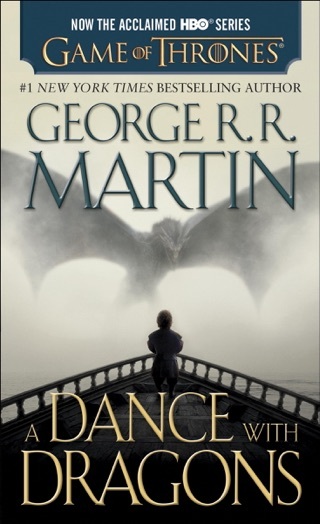 The book is fantasy but the author makes you feel like it could be real, like you are peering into some parallel world where magic exists, dragons are born and men do what men always do and fight for gold, naked ambition and glory. 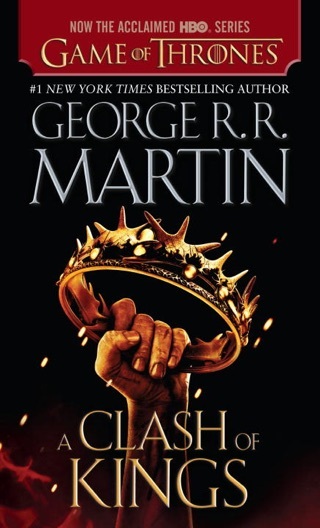 *I would recommend reading "Game of Thrones" and "Clash of Kings" before reading this book so you get the most out of it. 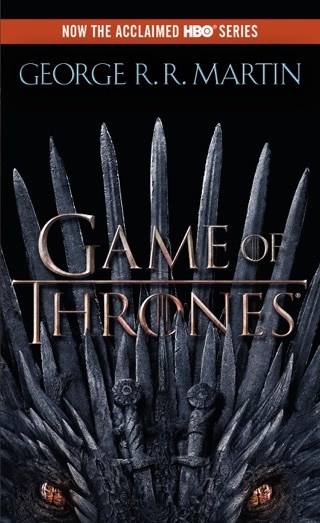 Otherwise, you might not understand the motivations of some characters or even the epic struggle which has ben raging since the end of "A Game of Thrones". I highly recommend this book. This series has been such a thrill to read. Don't miss this book. 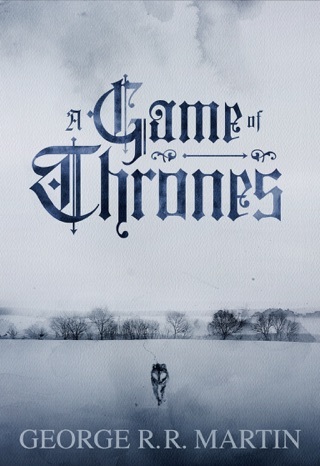 This is the best book in the series by far. It will hook you immediately and it won't let you go. So, be prepared to spend hours every day, voraciously consuming page after, and not wanting to stop, not getting full... even when you have turned the last page. My free time is gone!!! Each time I start a new book in this series I am completely worthless to the rest of the world. Cannot put it down!!! I've decided to stop fighting it, and plough thorough to the next book! Such an amazing collection! This is the first time I have ever read fantasy books and I am in love with this collection! Not just for dorks who live in their mom's basement playing Warcraft.